My laundry is usually scattered all over the floor. I have a laundry hamper bought from the pound shop. 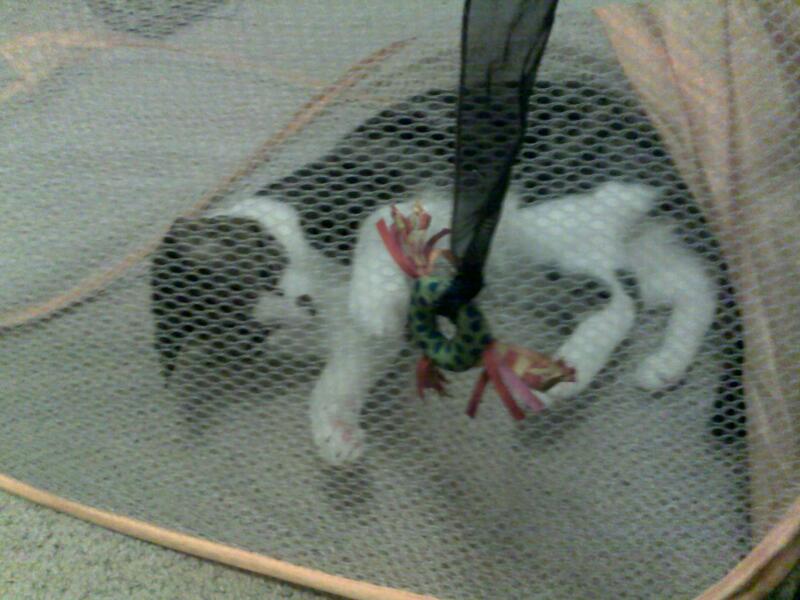 Netting with a wire frame that twists into a flat square, then pops up to hold clothes. That lasted until my first laundry day with it. As it became empty Cleo could push it over and climb inside. Then roll it around the floor. When I would fill it up as soon as he was large enough to jump on top he would push it over and pull my clothes out. Oh what fun! Then he ripped it up and the wire came out of one side. So that had to go. I decided that the next laundry basket for my clothes would be solid (from ikea) but I could get another one from the pound shop for the babies. I don’t think I even had it out of the shopping trolley before both Cleo and Alex were sniffing at it. When it popped open Cleo jumped on it and sat in it for the afternoon, until food was put out. 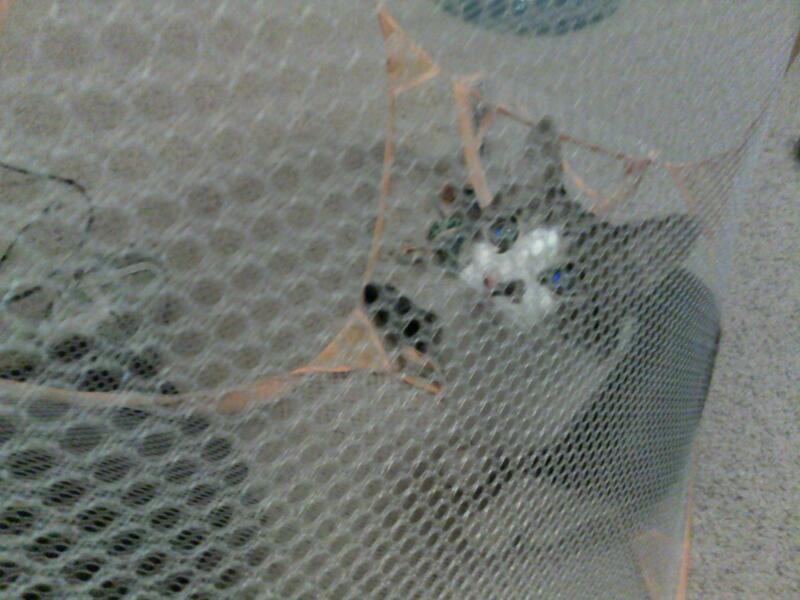 It is netting so it is not like he is hidden, but he waits until Alex or me walk past then lunges at us. I tend to put toys on the top and watch him bat them. Too funny!